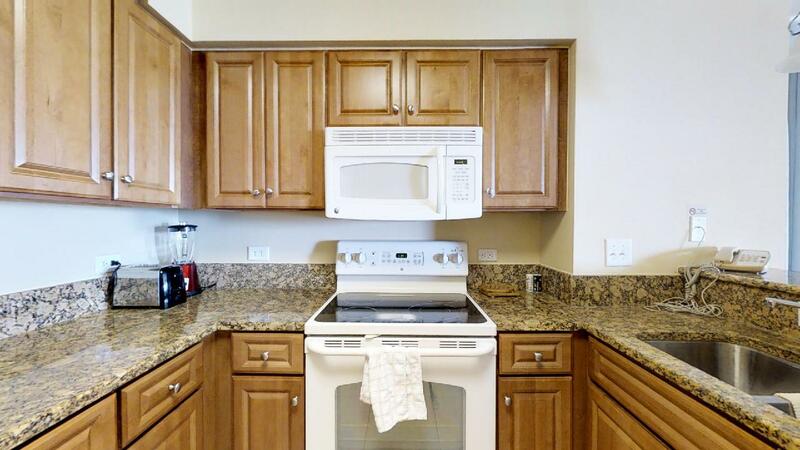 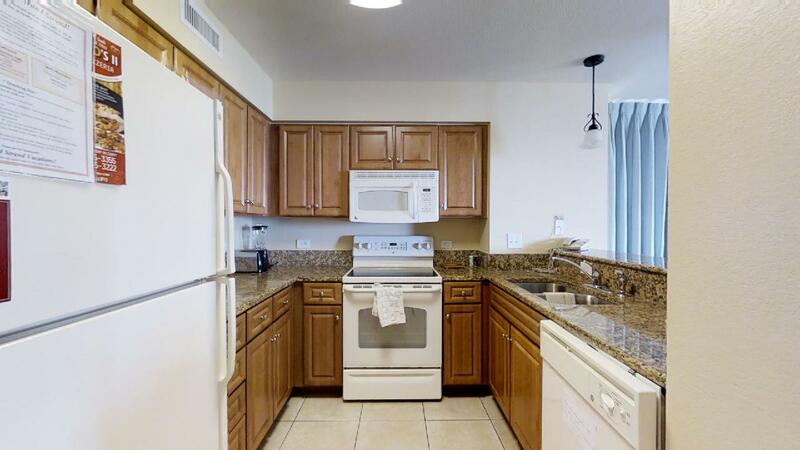 Featuring a spacious kitchen with granite countertops and modern appliances including a dishwasher and microwave, this condo offers all of the comforts of home. 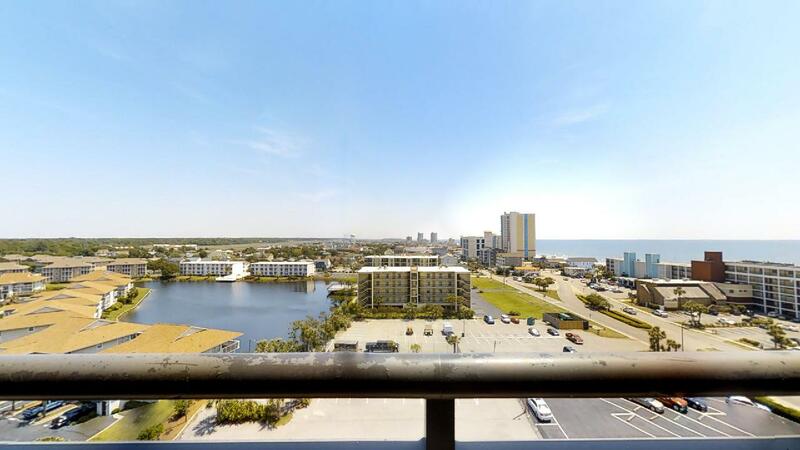 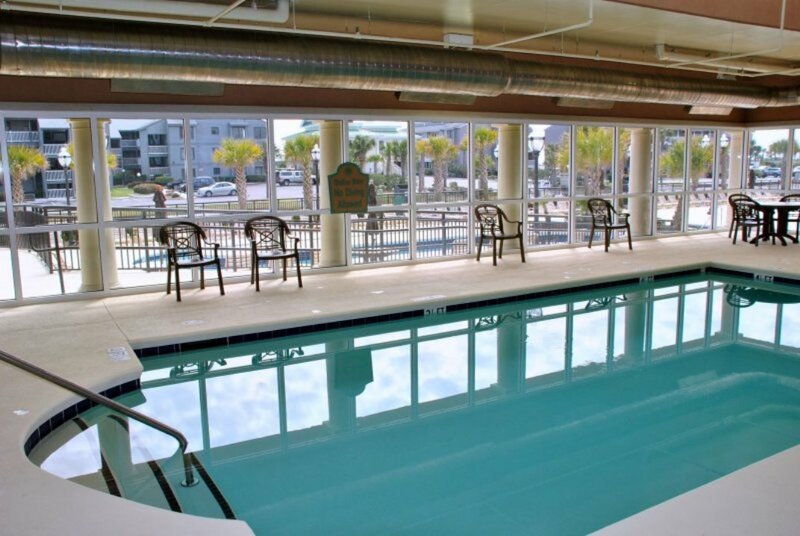 Staying in this high rise condominium, you’ll enjoy a number of luxurious and fun amenities such as a waterpark with a lazy river and kids’ pool, fitness room, picnic area and beach shower. 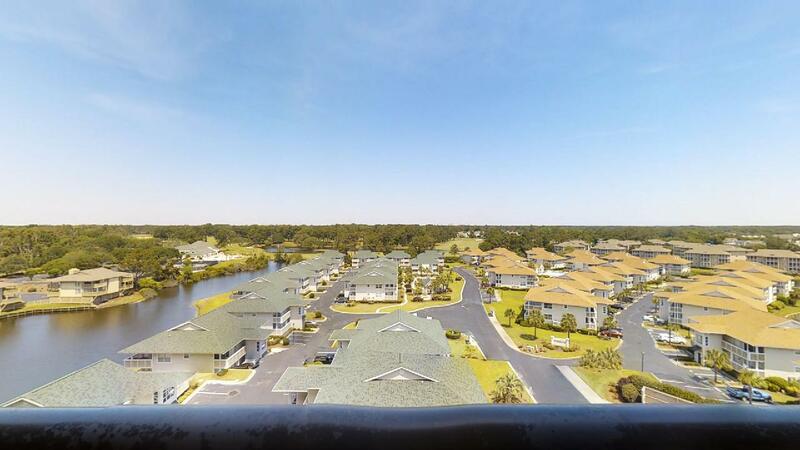 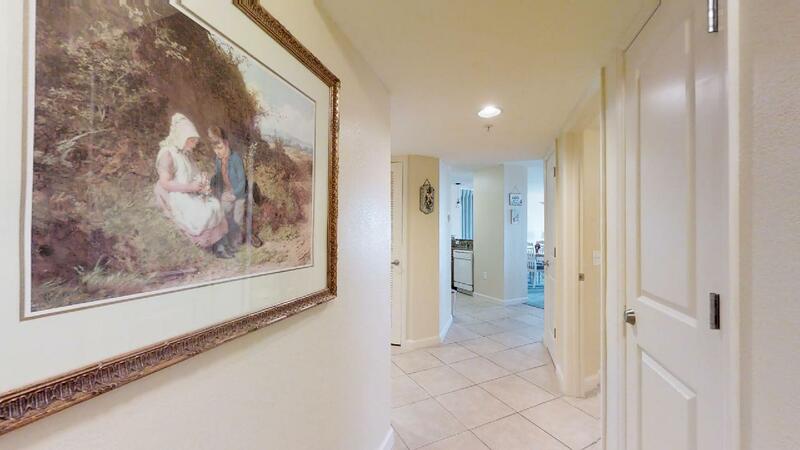 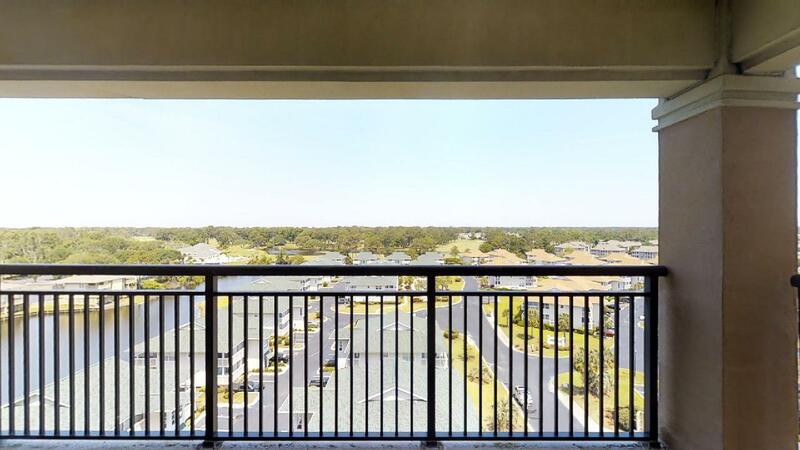 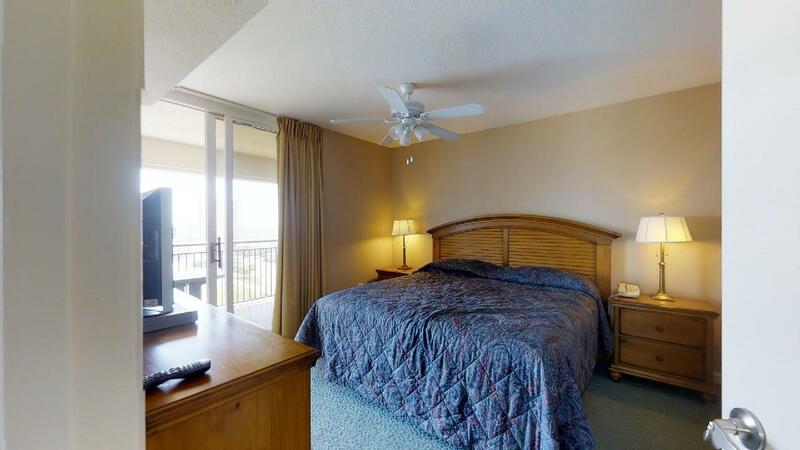 A corner unit with two balconies, you’ll have photo worthy views of both the ocean and golf course. 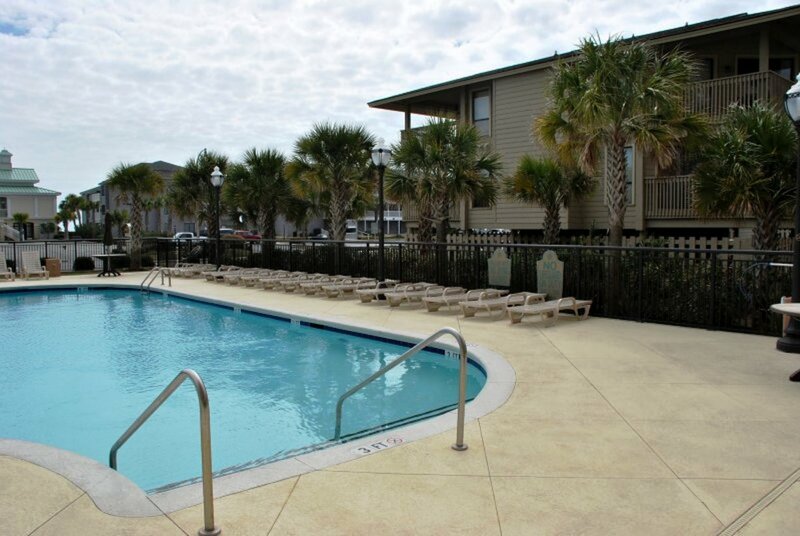 Conveniently located in the Cherry Grove community and the heart of the town, you are close to everything! 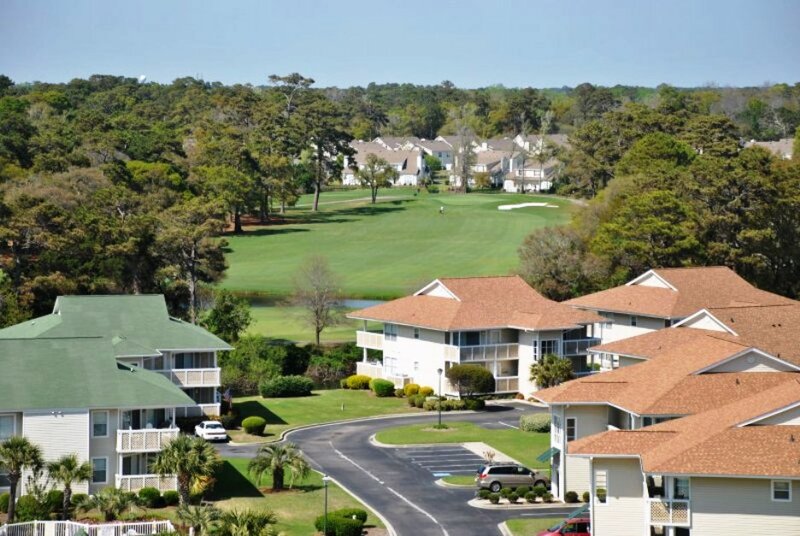 This includes the beach, fishing, golf courses, bars and restaurants. 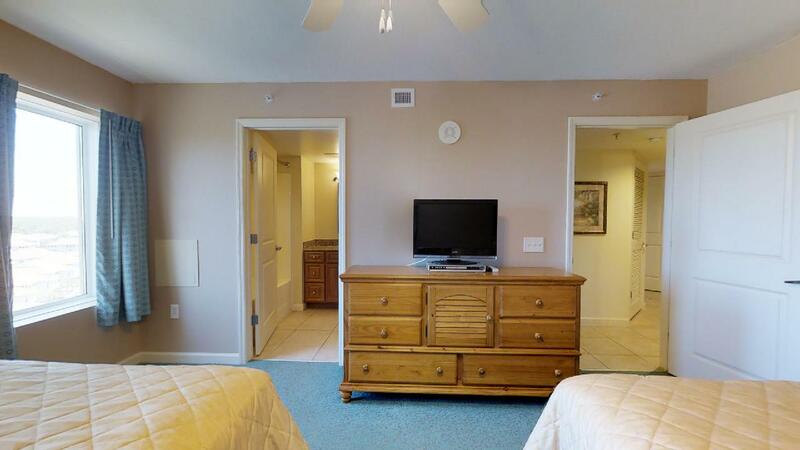 When you return to this property, you can relax in the living room or bedrooms to watch a little television on its cable tv or DVD player. 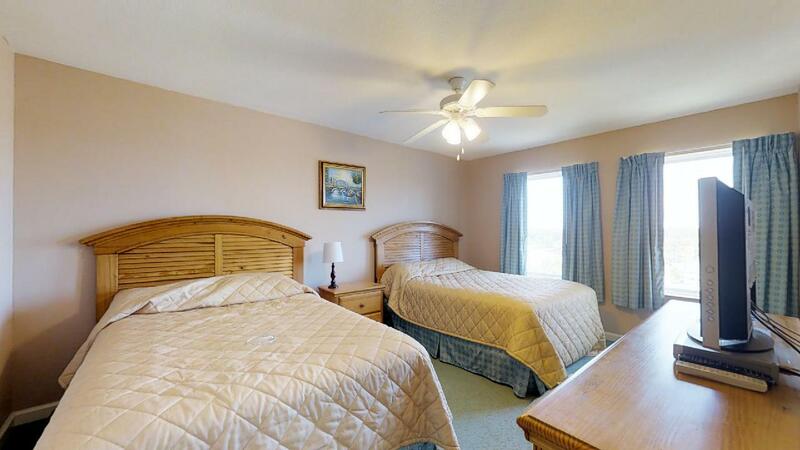 If you are ready to retire for the day, you can choose from 3 bedrooms which includes a master suite with a king bed, another with 2 queen beds and the last bedroom with 2 single beds. 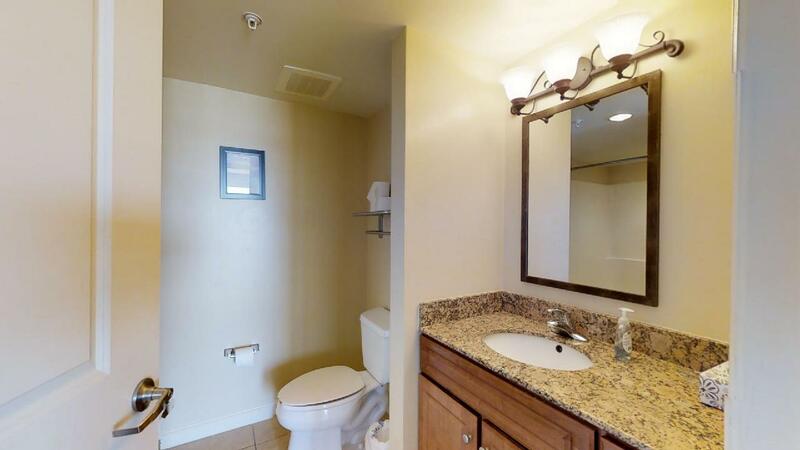 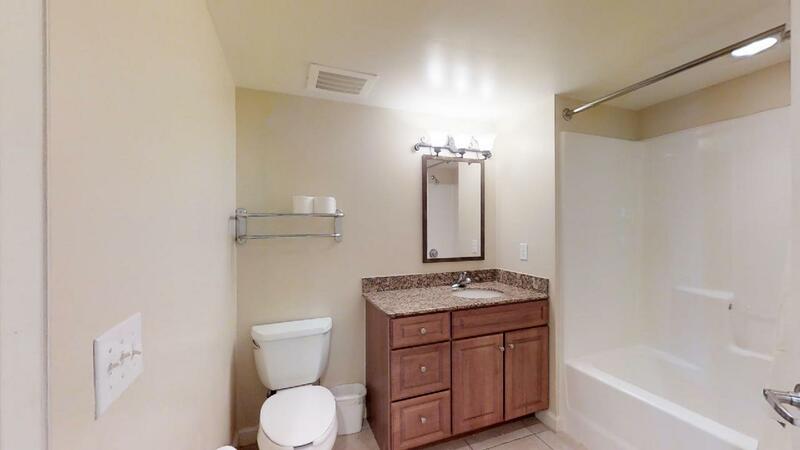 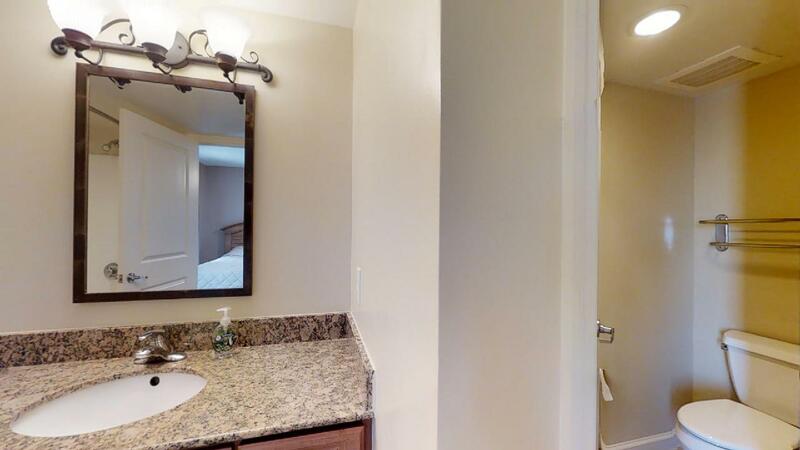 It also has 3 baths providing ample space for everyone to get dressed in the morning. 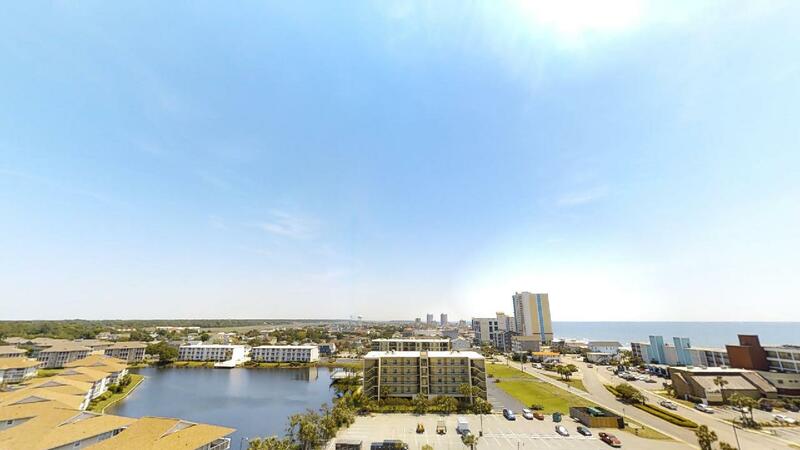 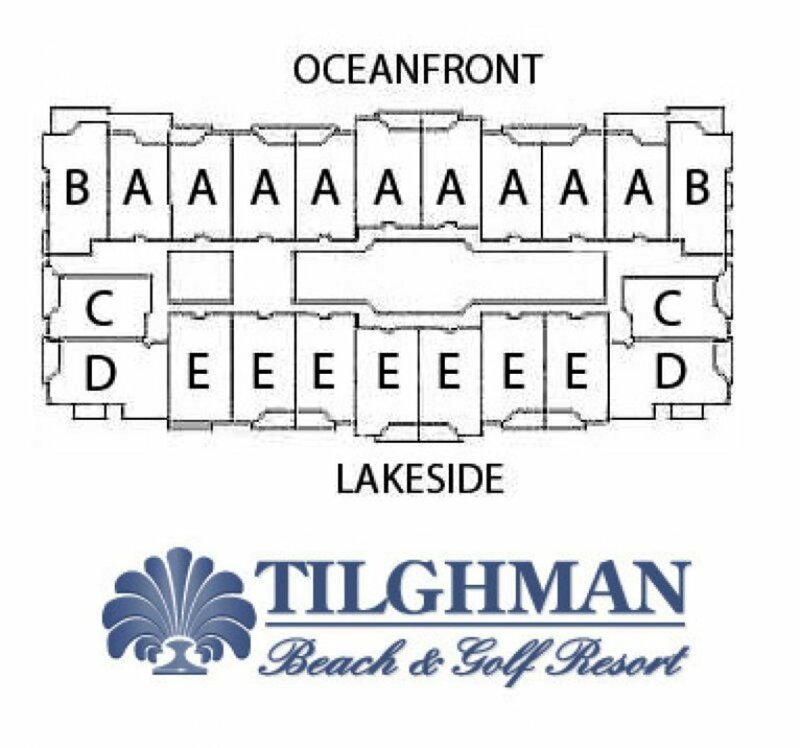 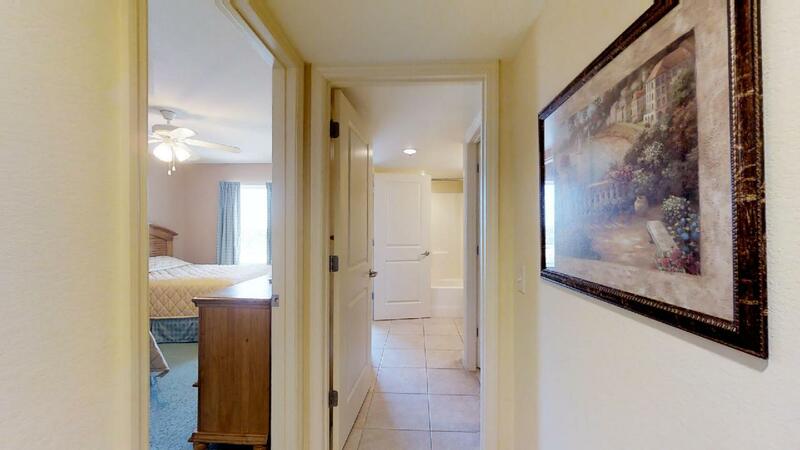 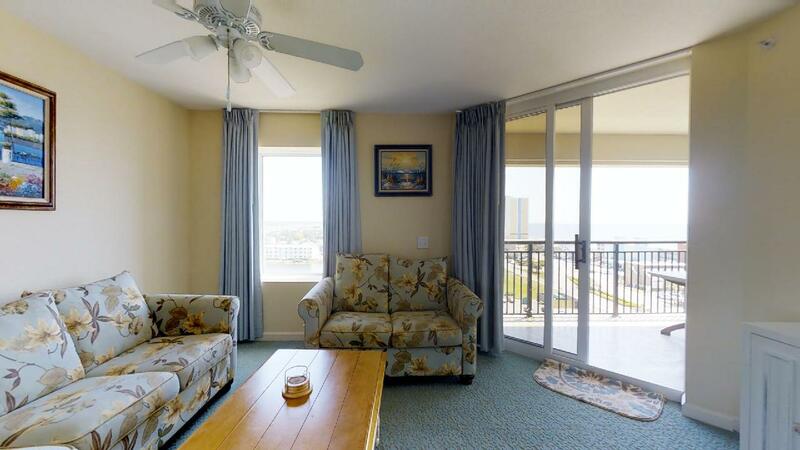 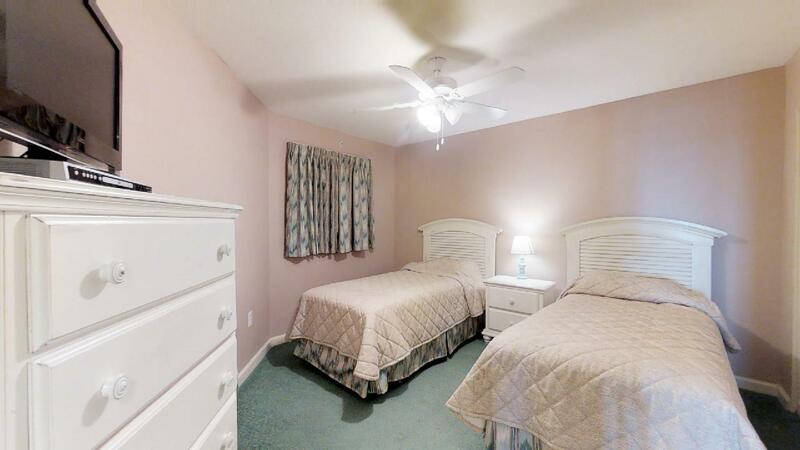 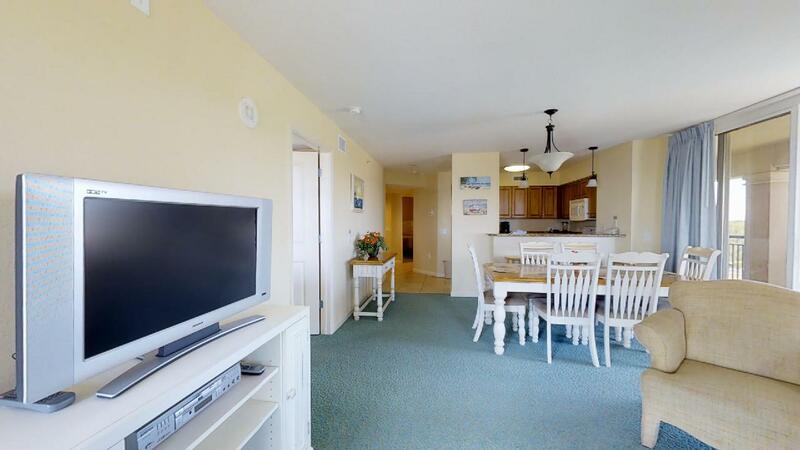 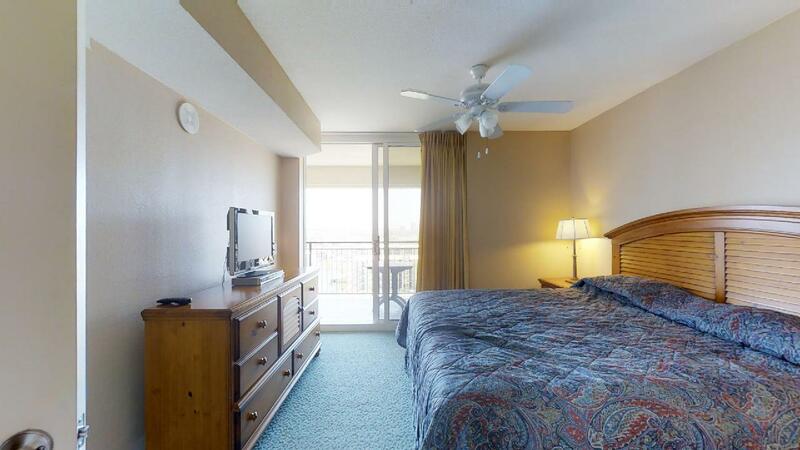 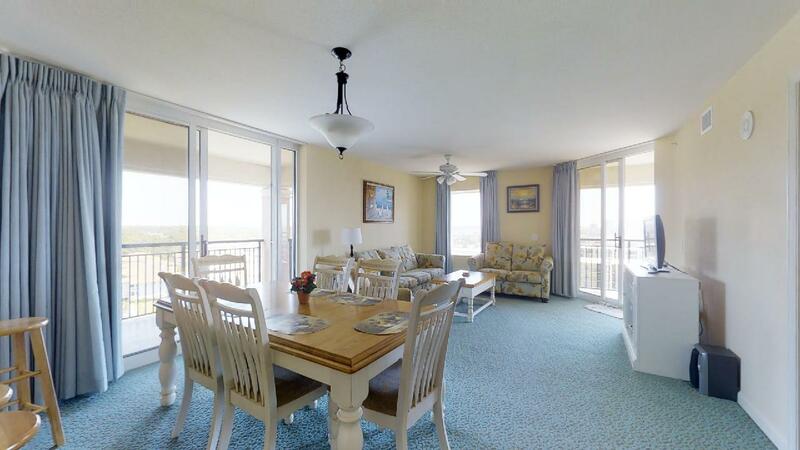 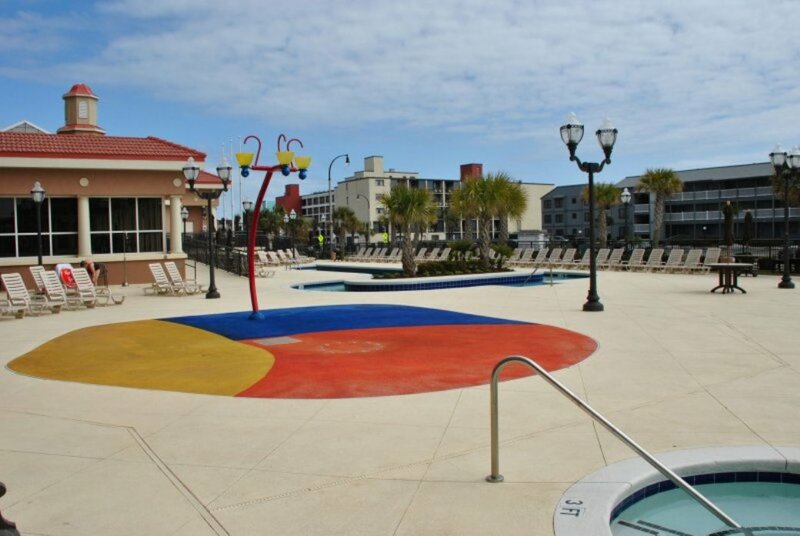 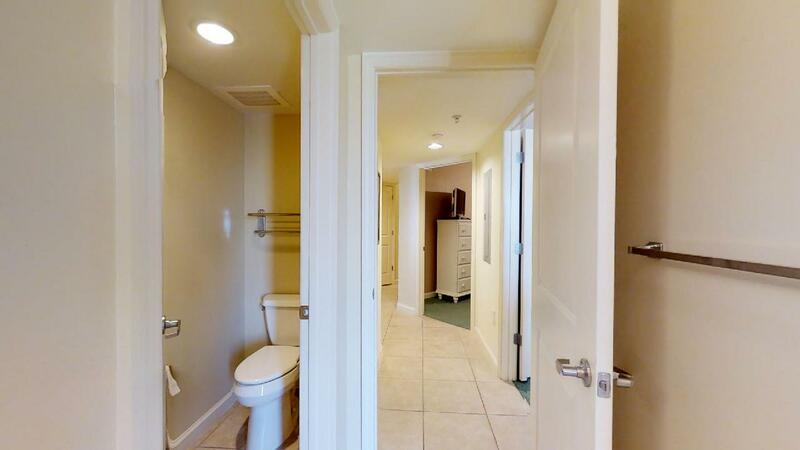 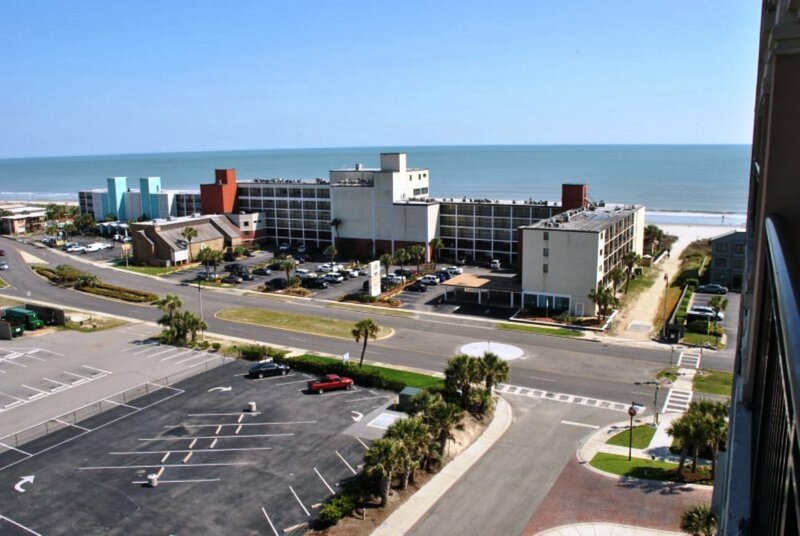 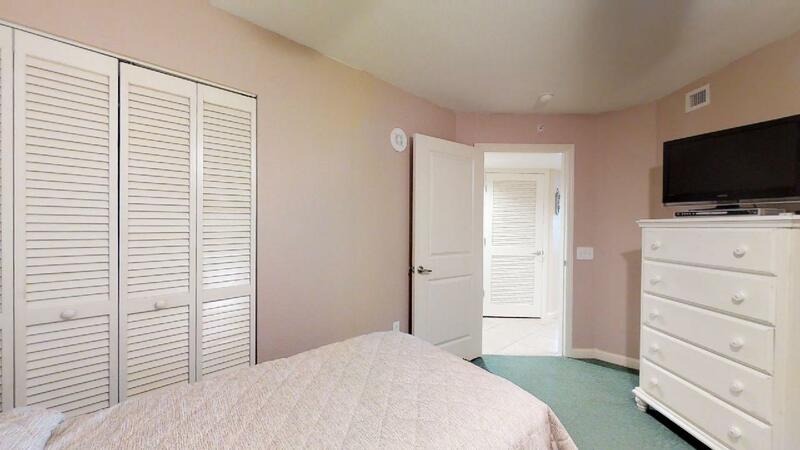 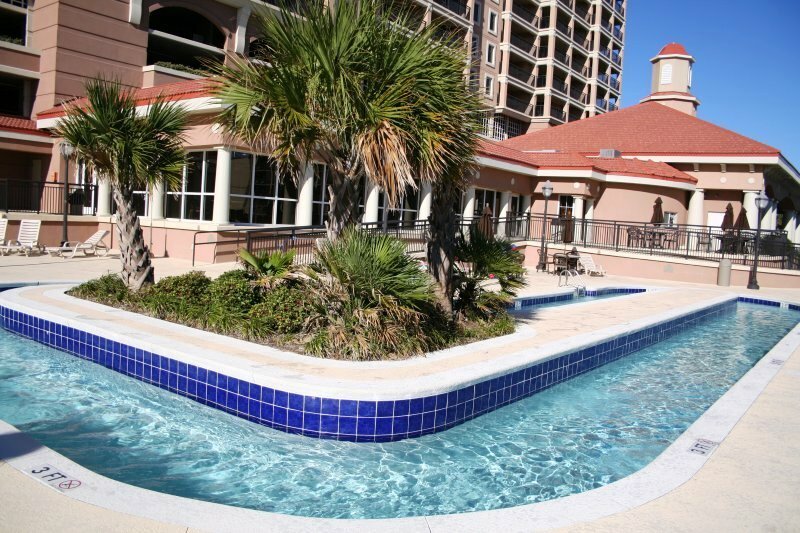 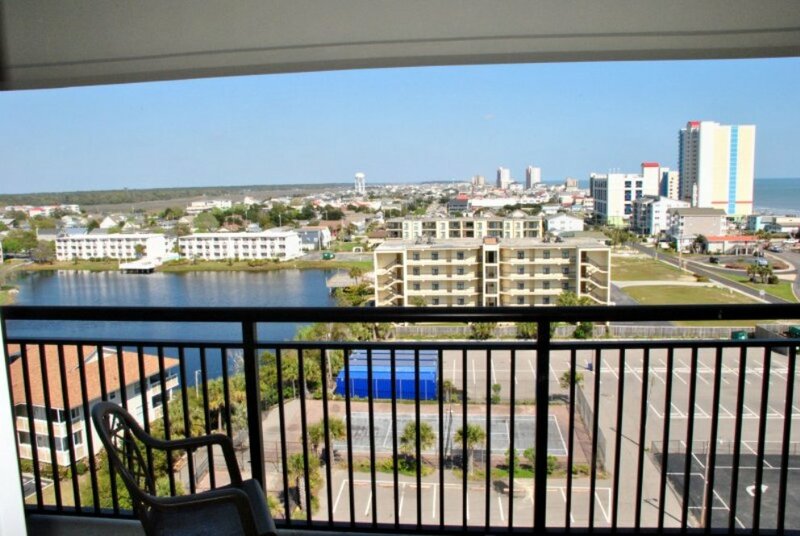 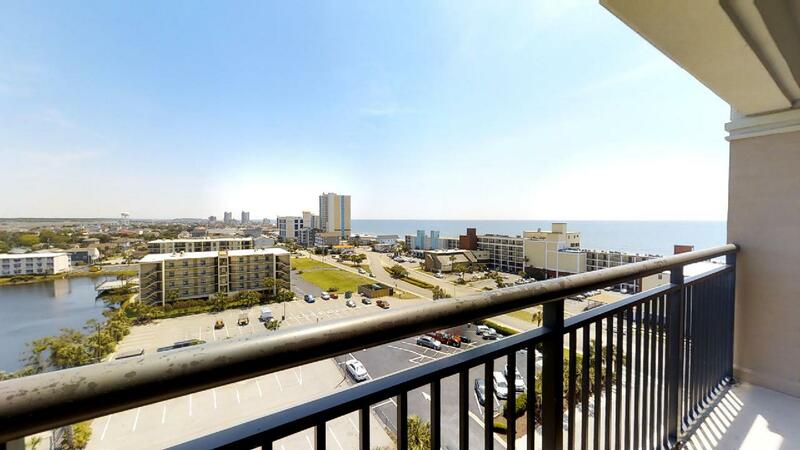 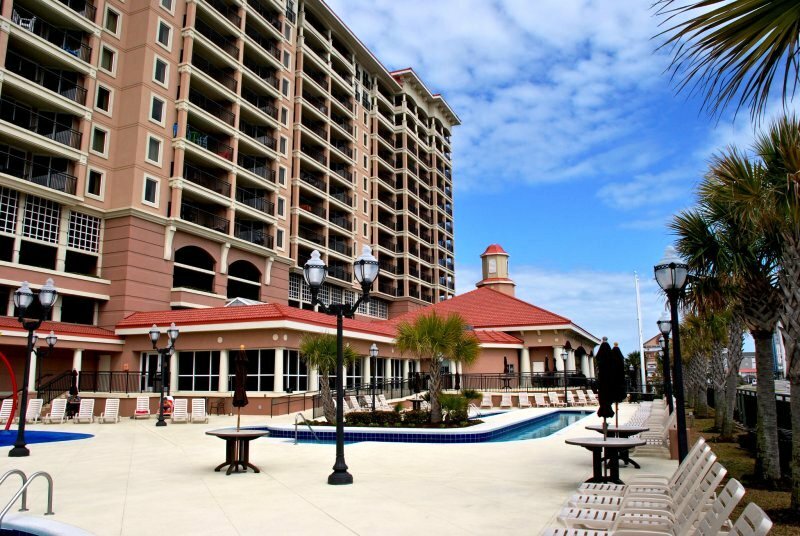 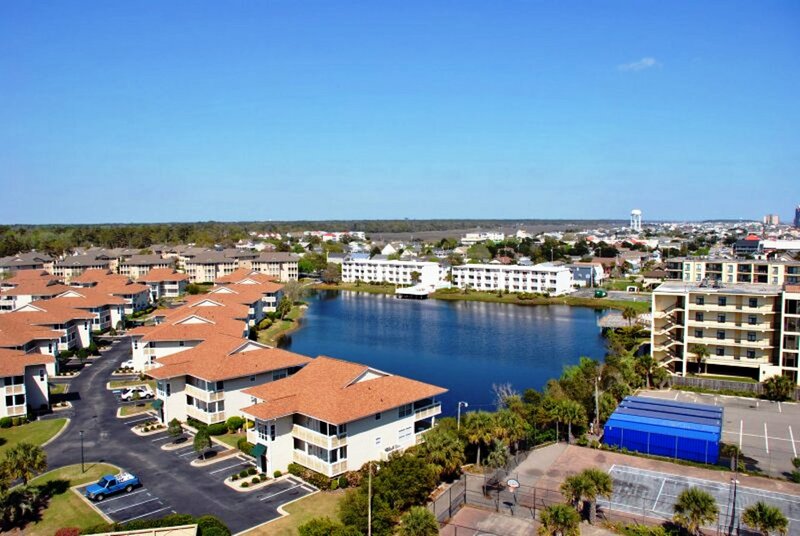 Able to sleep up to 10 vacationers, Tilghman Beach Resort 1021 is suitable for rent year-round. 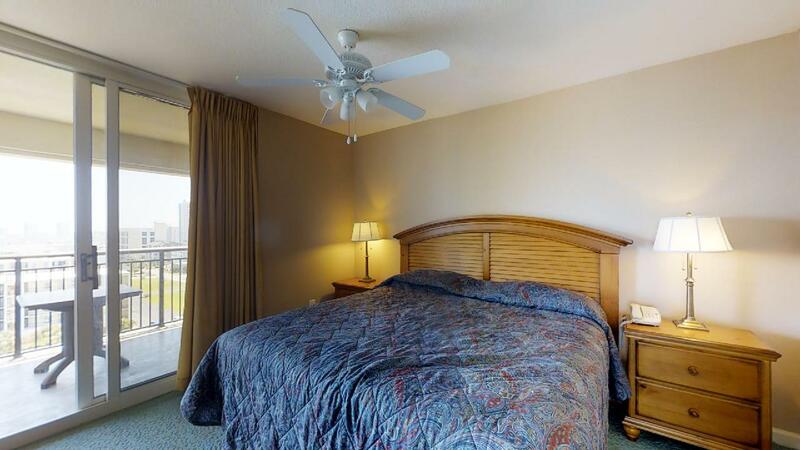 It offers central heating, air conditioning and ceiling fans to ensure its guests are comfortable no matter the season. 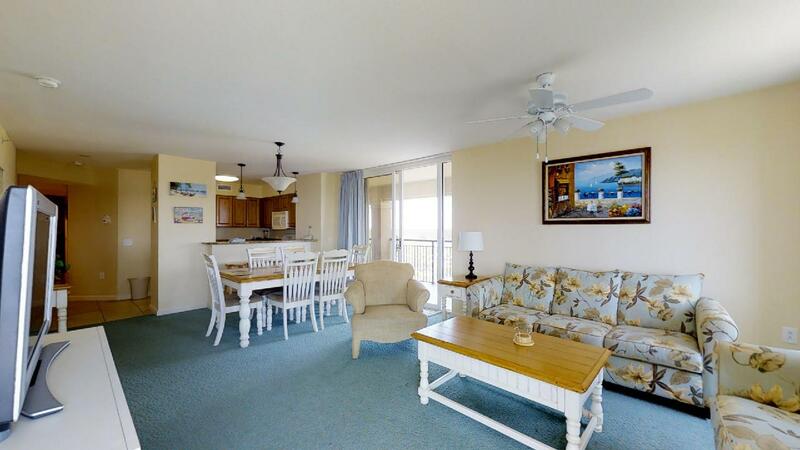 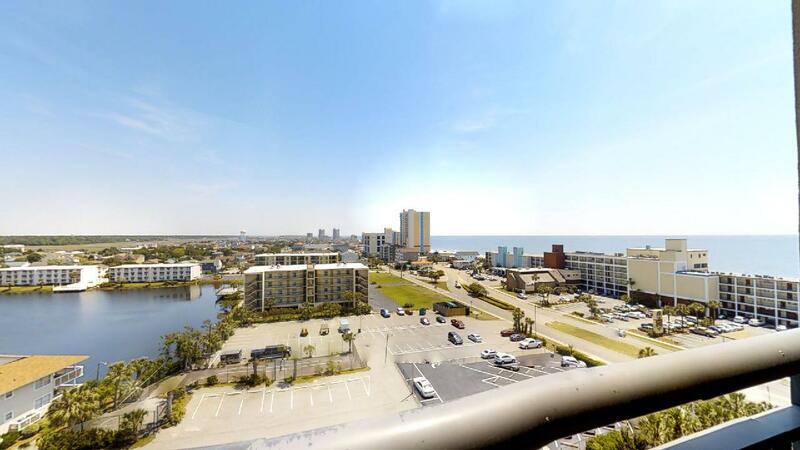 Call today to reserve this vacation property for your next North Myrtle Beach getaway.